We received this curriculum at no cost to review. If you are a Charlotte Mason type of home educator then you probably have heard of copywork. 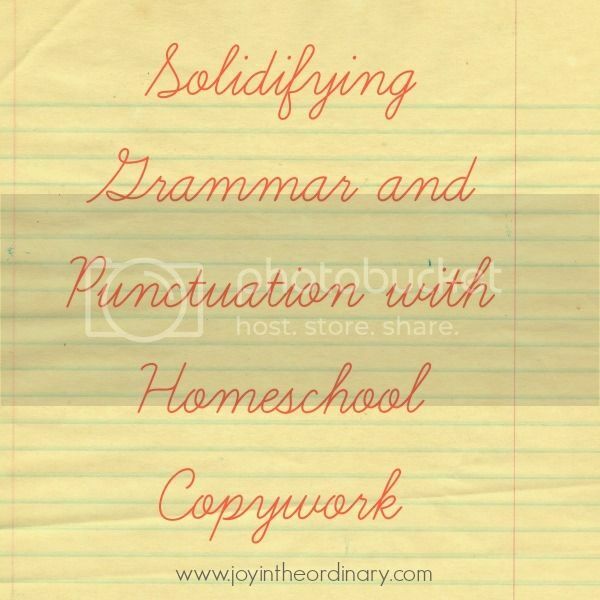 We are pretty eclectic so while I have heard of the term copywork, I really didn’t know the purpose of it until we reviewed Homeschool Copywork. I thought it was simply handwriting, but since using Homeschool Copywork Lifetime Membership I’ve learned that it is definitely more than simply handwriting. Copywork helps teach proper grammar and punctuation while instilling positive information and facts into the mind of the writer. Homeschool Copywork is a site which has a variety of digital copywork printables for students from early elementary to high school. Most of the downloadable worksheets are created for all levels. The sheets include both manuscript and cursive options. The manuscript is written in a variety of sizes to allow for writers of all stages to enjoy. The cursive is shown with dotted lines for those who need it and without dotted lines for those who have moved passed needing guidance. There are three membership options, Free Membership, Lifetime Membership, and One Year Full Membership. The Lifetime Membership allows full access to all copywork available on the site for the life of the website for a reasonable cost. 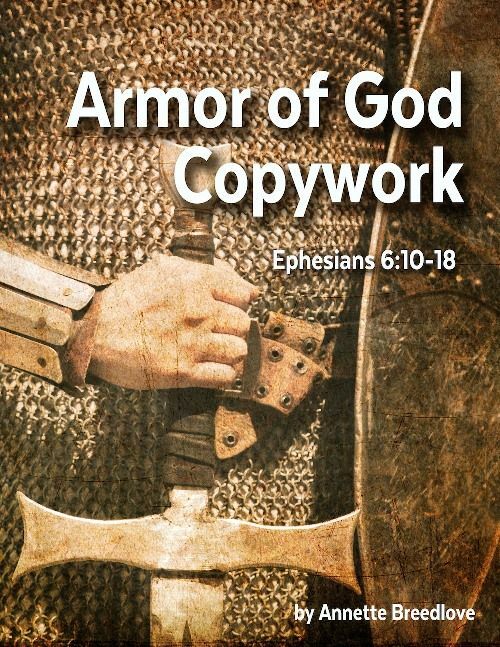 I chose to introduce the girls to copywork by using the Armor of God workbook. This one is written in all five styles including tracing manuscript for early writers this made it possible to choose the correct style for each of my daughters. My youngest daughter used the cursive with dotted lines while my oldest used the copywork without. This was the first time my youngest daughter experienced reading full passages of text written in cursive which I think is a skill everyone should have since many of our historical documents are written in cursive. The Armor of God is separated into nine scriptures which can make for several weeks of copywork by doing only one page a few times each week. Each page has one scripture from Ephesians 6:10 to Ephesians 6:18a and a picture to be colored. The girls completed their copywork three times each week, and it took them maybe 20 minutes to do along with coloring their picture if they chose to color it. Using copywork in our homeschool has been a nice addition. I am able to introduce them to new ideas or people without adding additional book work or lessons. This gentle introduction also opens the door for them to explore these new topics and people on their own. Do you use copywork in your home school?